Sip signature spirits while dining on elegant cuisine created by top chefs at The Columbus Zoo and Aquarium. Be entertained with performances by The Rat Pack, as well as special photo opportunities with Marilyn Monroe! 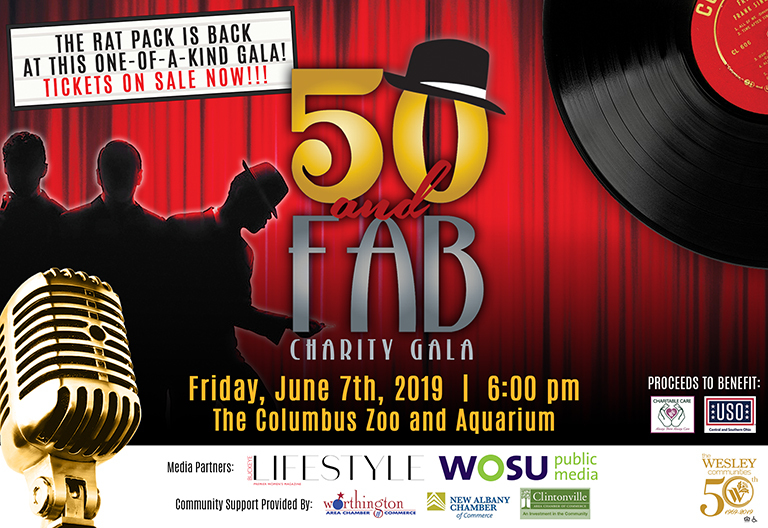 Proceeds from 50 and Fab Charity Gala help provide support to Charitable Care and the USO.